It has 20 pages in a double sided flip style album. 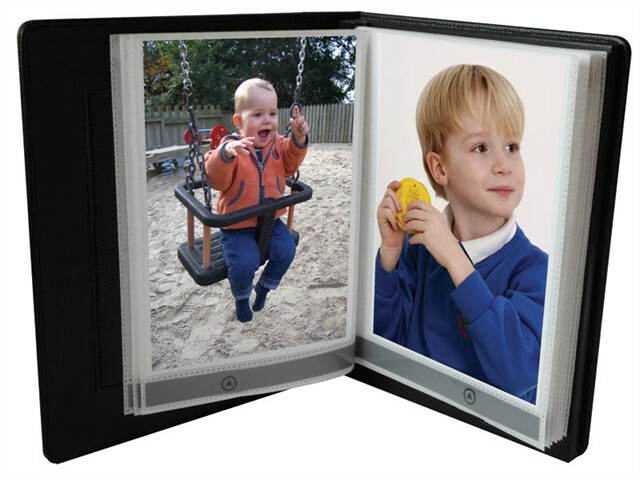 Each page holds a 12,7x17,8 cm (5x7 photo). Record a separate voice message on each page. Re-record them as often as you wish. Total 200 minutes recording time on a removeable SD card. Transfer recordings to your PC or use your existing digital sound files on the Photo Album. Built-in speaker with adjustable volume plus a 3.5mm headphone socket. 3 x AAA replaceable batteries (included).